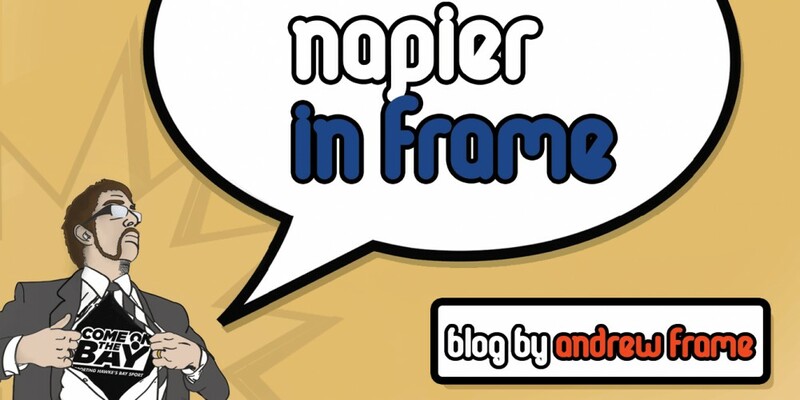 Take a look at the contenders for Napier mayor and despair, Napier! Four current Napier City Councillors make up the majority of those looking to replace long-term Mayor Barbara Arnott in this October’s local body elections. This might not seem too bad to some, as NCC loves to remind us how low our (continual) annual rates increases are and just how little debt the city apparently has (this depends on which figures you look at and how deeply according to some dissenters). But if you look at how far the city has come in the last decade or more (the time since there was any great upheaval in Napier’s governance), you will see we have not gone very far at all. Some may say we’ve actually gone backwards. John “Bertie” Cocking (3 term “at large” councillor): Long-time proponent and icon of Napier’s Art Deco obsession was the first to put his hand up and stand for mayor almost the instant Arnott announced her retirement. Art Deco has been the obsessive focus for the current council for years. I don’t actually mind the architecture and buildings, but so much focus and money has been poured into it there has been little chance for anything else (especially tourism-wise) being able to get a word in edge-ways that it’s little wonder Napier’s tourism industry has been suffering as we become a one-trick tourism pony. Cocking’s alter-ego also lent his name and face to the problem-plagued “Bertie’s Buses” which look set to keep costing Napier ratepayers (who, as far as I can tell, never actually got a say on the purchase) long after the council that bought them is voted out. John is considered to be one of the better financial minds on the NCC, his financial skills are lauded by many. It was this financial nous that got him a place on board of Venture Hawke’s Bay. How is that organisation going these days? John / Bertie was the second highest poling councillor at the last election, behind the retiring deputy mayor Kathie Furlong, so he must be popular somewhere. But I just can’t trust my council in the hands of anyone who uses a picture like this on one of their election hoardings like in the last election. Bill Dalton (2 term “at large” councillor) Might well be Hawke’s Bay’s most negative blogger I ‘take one for the team’ occasionally and have a read to see what he’s been complaining about recently. For me, at least, it isn’t inspiring, or elation-inducing reading. As someone who promotes his ideas for cooperation between Napier and Hastings over A Better Hawke’s Bay’s empirical amalgamation plans, he seems overly critical of Hastings people. That can’t be helpful. Rob Lutter (3 term ward councillor): In the last election nobody voted for Rob, yet he was still elected! Admittedly no one stood against him, but as a Taradale Ward councillor I think he may not be too popular with his ward constituents any more after the upgrade of Taradale’s shopping centre saw the addition of parking meters. Combine that with leases in the shopping centre skyrocketing (not the councils fault, but certainly not helpful) and many shoppers and a number of businesses have been driven out of the village. Michelle Pyke (1 term “at large” councillor) As the unsuccessful mayoral aspirant in the last election, you would have expected her to be a more vocal, opinionated proponent for change. Instead she has been very quiet (as have all her fellow councillors). The only time I have heard her speak up recently was when defending the council and championing her role as the “voice of the unrepresented”. I don’t know who these “unrepresented” are, or how they’ve gotten along over the last 3 year term, but I’m taking the silence as a bad sign. If all else fails, she can always go back to offering career and financial advice to lotto winners. A managing partner with legal firm Langley Twigg, past president of the Hawke’s Bay Chamber of Commerce and current chairman of the economic development agency, Business Hawke’s Bay had signaled his interest in standing for mayor earlier this year too. His youth, knowledge and connections would have been fantastic for the city, but he later decided against standing. As a member of the pro-amalgamation lobby group “A Better Hawke’s Bay” I think he may have had too much of an up-hill battle against an entrenched status quo / anti-amalgamation establishment in Napier. There may yet be hope for Napier, as someone other than a current councillor finally puts their hand up for nomination. Local businessman David Trim has indicated to the local paper that he will be contesting a place either as mayor, or as councillor in October’s local body elections. Hawke’s Bay Today believes there may yet be at least one other contender for the Napier mayoralty. For the sake of a prosperous, cooperative, diverse and fully represented Napier advancing into the future, I do hope so! This entry was posted in Hawke's Bay, Opinion, Politics and tagged Hawke's Bay, Napier, Opinion, Politics by Andrew Frame. Bookmark the permalink.